Lima is fast becoming a go to place in South America for food, with 3 restaurants in the world top 50, you will not be disappointed. With the mix of cultures in the Peruvian population, the variety of food on offer will delight even the fussiest palate. There is lots variety on offer it is not hard to enjoy a great meal and to find the best restaurants in Lima Peru. When you decide to travel to Peru for your next holiday make sure you take the time to stay in Lima for a few days to sample the excellent cuisine. 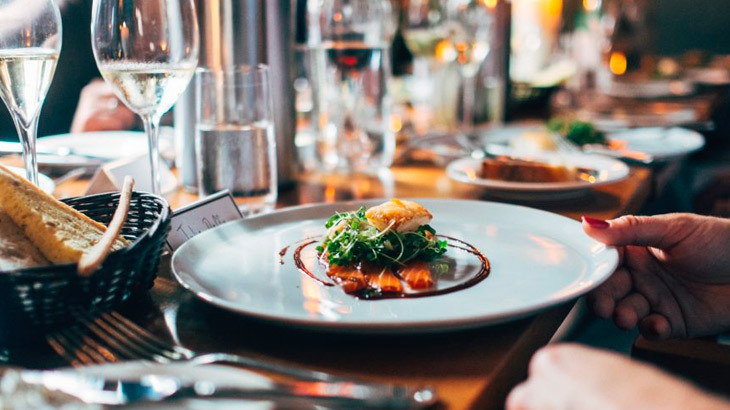 In this article, we will give you some suggestions on the best places to dine in Lima from the most expensive and famous to the budget meal that you have to try, also some traditional Peruvian dishes that you must no miss while on your Peruvian holiday. With the rise of the Peruvian food movement, there has emerged some chefs that have become famous worldwide and most of these chefs have opened their own restaurants. 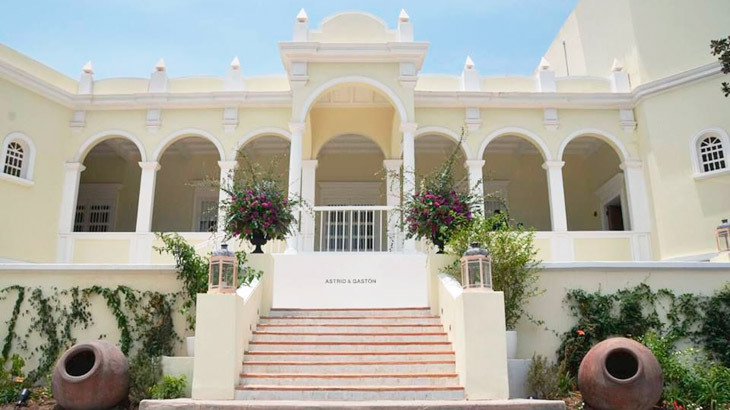 The first and the most famous chef that Peru has produced is Gaston Acurio, who has many restaurants in South America, but his signature restaurant in Lima is called Astrid and Gaston. In the suburb of San Isidro, features a creative Criollo-Mediterianean menu, with an upbeat atmosphere the restaurant is a little pricy but if you enjoy new tastes, the restaurant will please. 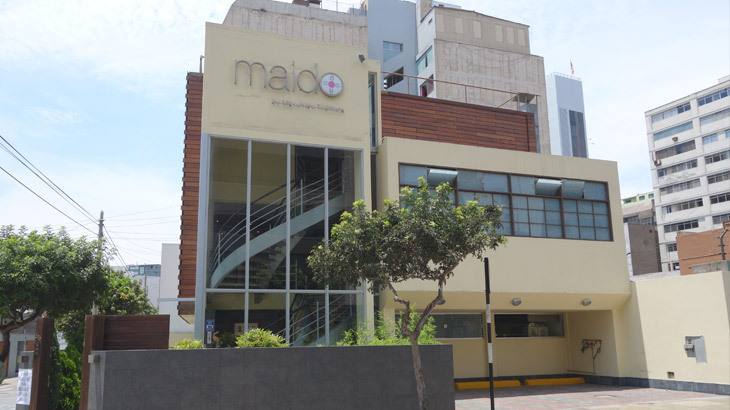 Next on the list of fine dining restaurants is Maido from the Peruvian chef Mitsuharu Tsumura, Maido features a mix of Japanese and Peruvian specialties. If you visit this restaurant, you will have to try the Wagyu ribs, which are marinated for 50 hours in soy sauce. If you like your Japanese food with a twist, the restaurant is located in the Miraflores area of Lima. 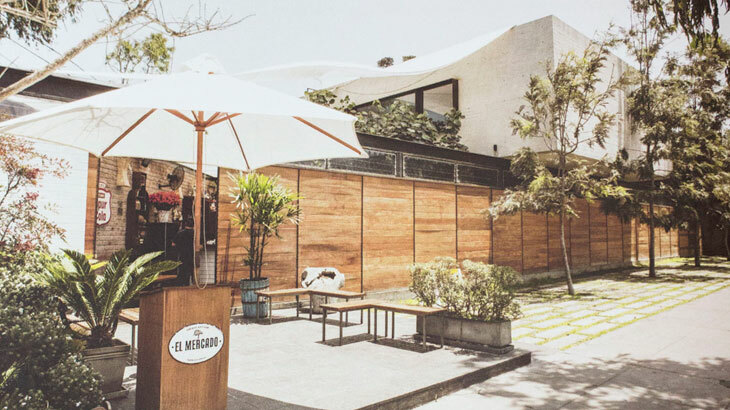 El Mercado is a hip restaurant, again located in Miraflores, that only opens at lunchtime. The restaurant is dedicated to the Peruvian coastline featuring delicious seafood with a large menu and a market like feel. There is a beautiful patio to enjoy your meal. This restaurant was started in 2010 by Chef Rafael Osterling and is considered one of the best in Lima. 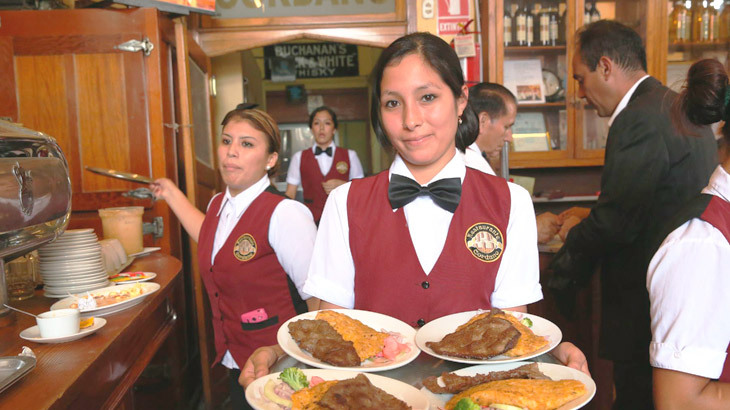 In central Lima you can’t miss the old world charm of Restaurant Cordano, this restaurant was opened in 1901, located across from the Presidential Palace, the Cordano features Peruvian food which will delight the palate, it is a little pricy but worth the experience. 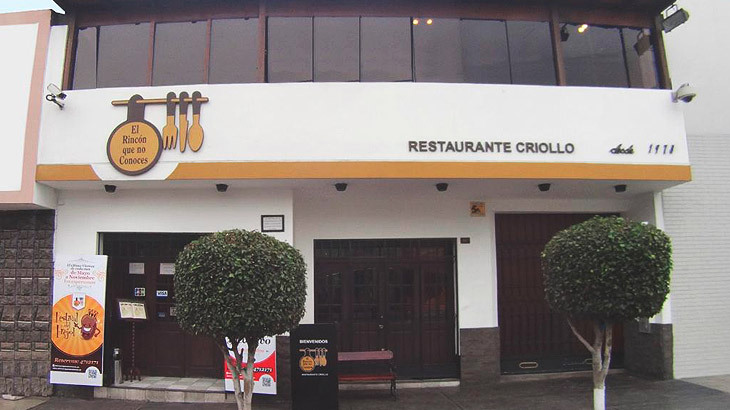 Also in central Lima is El Rincon Que no Conoces, which translates to The Corner that you do not know, this place is very grand and features some of the best Peruvian cooking you will try, the portions are large and the foodies among you will be delighted with the tastes. The prices are high but not as high as the Cordano, not to be missed when in Lima. For more budget meals, there are plenty of options available in Lima. 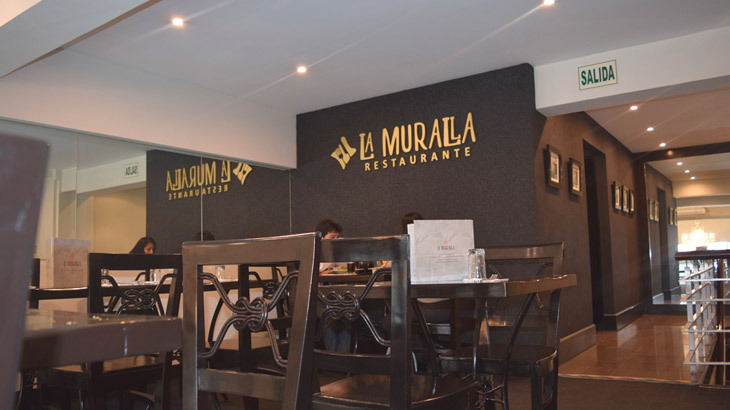 Restaurant La Muralla in Central Lima has the best Lomo Saltado in Lima, the dish is one of Peru´s national dishes. The plate features beef, tomatoes, onions and French Fries, but if you want to try this place remember they only serve lunch. If you are looking for a good cheap meal in Lima especially at lunch, most restaurants feature what is called a “menu”. The features are a soup starter generally from meat or chicken filled with vegetables and either rice or quinoa and a main of different Peruvian dishes mostly served with rice. After your meal, you will receive a drink and sometimes even a basic dessert like jelly. These “menu´s” will be advertised at the front of the restaurant and will cost you anything from 10 to 25 soles per person. Another cheap and delicious option is “Pollo al las brassa” this is chicken with a very salty skin served with French Fries and a salad. Everywhere you look in Lima there are restaurants selling this tasty chicken. This dish is very popular with the locals who can be seen eating the chicken on weekends. Ask any Peruvian and they will have their favorite Pollo al la brassa restaurant to recommend. For a very cheap meal, most of the markets in Lima feature a food section, some good, some not so good, be careful and make sure the stall is full and it looks clean. Some of the traditional Peruvian dishes you must try while in Lima is the following, as mentioned before you must try Lomo Saltado, Aji de Gallina, this is a chicken dish served with a yummy creamy yellow chili sauce. Causa Limeno is a tasty potato dish and of course, no trip to Lima would be complete without trying the seafood especially the Ceviche. The list of things to try is endless, but rest assured you won’t be disappointed. Desserts also play a large part in the Peruvian Cuisine; while in Lima try the Picarones, which is a fried sweet potato batter, served with a honey syrup. Also worth a taste is the Mazamora mixed with Arroz con leche, which is rice pudding. Before you leave Lima or travel from Lima to Machu Picchu, take the time to experience all the wonderful food Lima has to offer. Peru Travel Tips, Travel To Peru gastronomy. permalink.